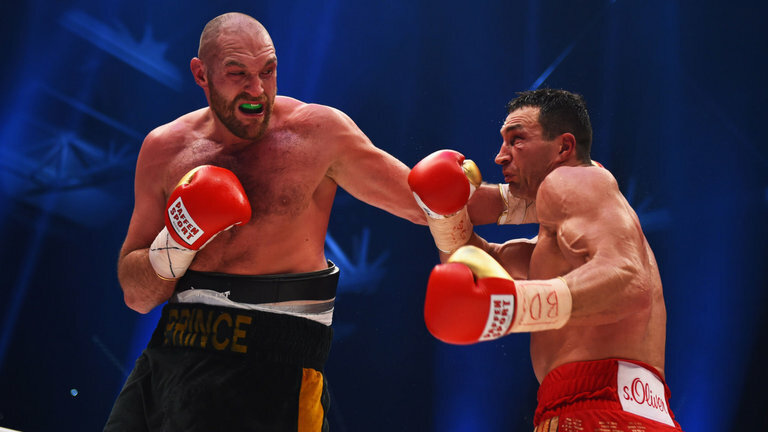 When Tyson Fury returns to the ring this Saturday night to face Sefer Sefri at Manchester Arena after two-and-a-half years out of the ring, he won’t be the first famous heavyweight to launch a boxing comeback after a lengthy layoff. Muhammad Ali famously spent three-and-a-half years out of the ring after refusing enlistment to United States Army during the Vietnam War in the late 1960s. A decade later Ali’s patsy in Zaire, “Big” George Foreman, hung up the gloves to pursue a career as a Christian preacher. When Foreman returned to the ring 10 years and forty pounds later, he launched the most unlikely comeback in heavyweight boxing history. A sideshow attraction at first, Foreman stayed busy, beating increasingly stiffer opposition until he face Evander Holyfield for the undisputed heavyweight championship of the world 25 fights later. He lost. Four fights later, he faced Tommy Morrison for the newly-created WBO title. He lost again. In his very next fight he faced the first southpaw world heavyweight champion Michael Moorer for the IBF and WBA titles. This time Big George wouldn’t be denied. Trailing on the scorecards, he whipped out one of his patented big right hands in the 10th round and Moorer crumpled to the canvas. At the age of 45 Foreman became the oldest boxer in history to win the world heavyweight championship. This week Foreman spoke to 32Red about Fury’s return to boxing and why it’s a boon to the sport. “Fury’s style was always all about not trying to do it all too quickly in the first place. He never depended on the quick knockout and he could exist in any era,” said Foreman. “He’s going to make a good comeback and when you look at his face you can’t help but love the guy. His personality is something that you can look at and love, especially when he starts speaking. Although a big man in his own era, at 6-foot-3.5 Foreman would be a moderately sized heavyweight by today’s standards. Compared to Fury’s 6-foot-9, he would be patently small. “That guy is so big that I would probably have had to stay low and make certain that my manager wouldn’t have matched me with him,” Foreman laughed. “To be honest he’s like a new computer. They just didn’t exist in the 60’s, 70’s, 80’s and 90’s. “He’s the new kind and you can only face him with the new kind of fighters. Today, I don’t see anybody beating that big giant.